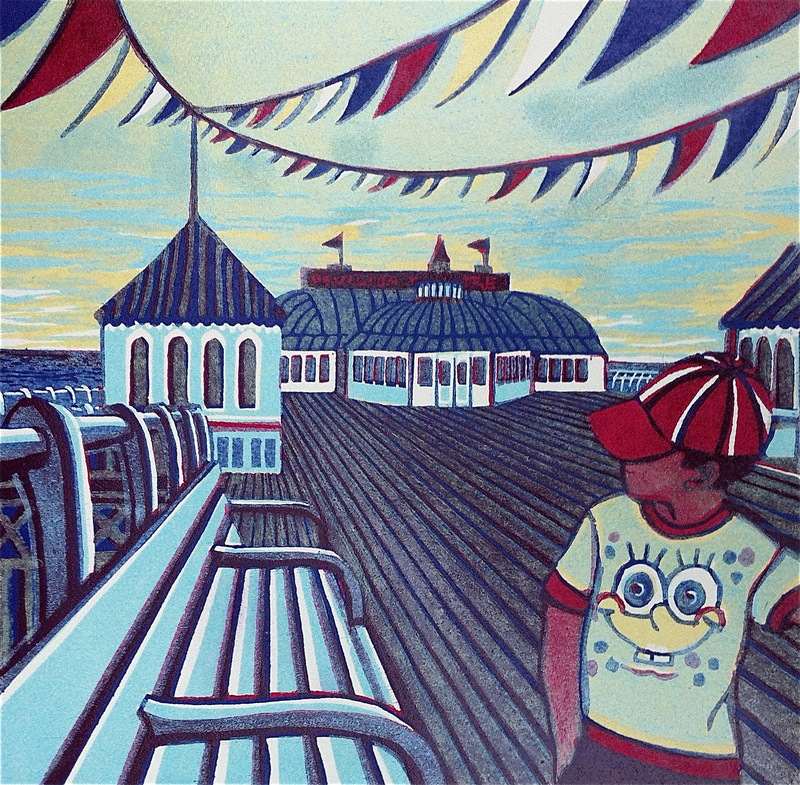 Two new seaside prints – on the left is ‘The Last to Leave’ and the right one is as yet unnamed….. 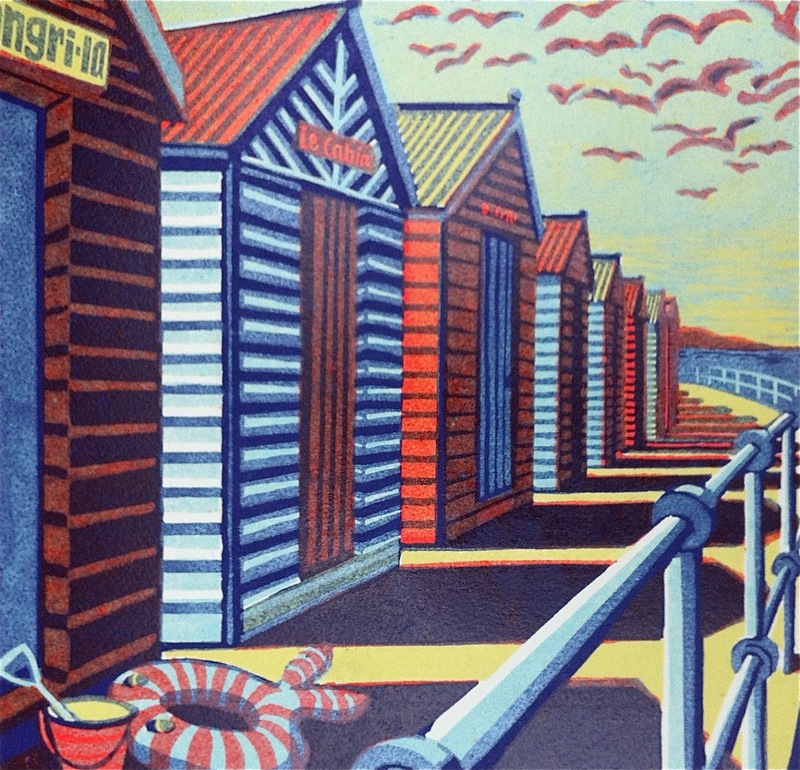 This entry was posted in New linocut, Norfolk coast by Gail Brodholt. Bookmark the permalink. Thanks so much, Amanda – I think I am pleased with them but you know how it is with new work. You like it for about five minutes and then you start to pick holes in it…..
What size are they and how many blocks? I didn't realise you were on Twitter – looking forward to lots of fabulous tweets…. (I'm a bit patchy there myself). I love your combination of colours, the prints are very effective, well done, be proud! Why are we so hard on ourselves? Thanks, Anna, and I guess that being hard on ourselves is why we keep on going – the next one is going to be perfect….